Based on the skills of our adroit professionals, we are able to offer an innovative range of Manual High Pressure Bricks & Paver Machine. The offered range is widely appreciated by our clients for its defined features such as high durability and optimum strength. A team of our expert professionals, with hard-earned experience manufacture the offered product satisfying all parameters of quality. We also, provide our product in various customized options at a reasonable price. 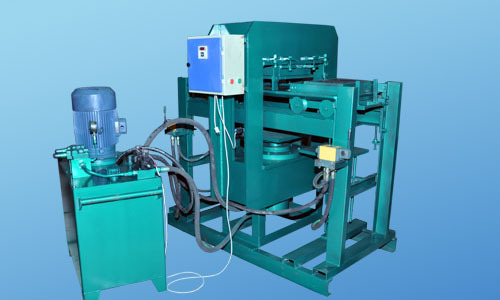 Established in the year 2007, at Morvi (Gujarat, India), we, “Marshal Engineering Works,” are recognized as the prominent manufacturer and supplier of a broad assortment of Cement Tiles Machine, Chequered Tiles Mould, Hydraulic Parts, Interlocking Paver Block Module, Bricks Machine, Belt Conveyor and many more. These products are manufactured and designed under the guidance of skilled team of professionals using high grade raw materials and latest technology in accordance with international quality standards. Our team of procuring agents procures raw materials of optimum quality from reliable and certified vendors of the market. These products are appreciated for robust design, sturdy construction, less maintenance, high durability and reliability. We offer these products in various specifications in terms of size, shape and dimension in order to meet the variegated needs of the clients. Besides, clients can avail these products in customized form too as per their precise requirement at affordable prices.